All words presented in this blog are purely opinion, not fact - unless specifically stated otherwise in the post. 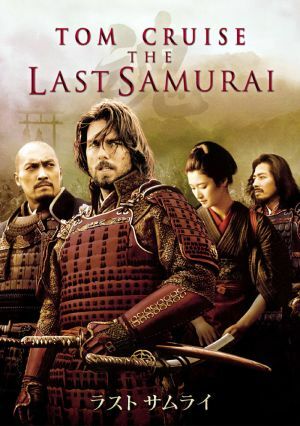 Ok, so The Last Samurai is the only movie I can think off that I actually like, definitely the only one that I Love. It's such a beautiful story, the violence is an accompaniment of a point, it's not like a lot of films these days where the point is the violence. This movie is trying to tell you a story, give you a look into the past, into a beautiful and terrible culture that is all but gone. 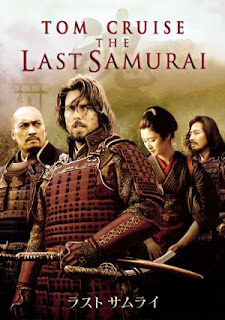 The Last Samurai is about the emotionally broken American officer, Nathan Algren in the wake of the Meiji Restoration era of 19th century japan as the samurai culture mends his many wounds. At the begining of the film Nathan is a drunk advertising guns to Americans in a market place. He's hired by an old comrade to go to Japan and train the soldiers of the Emperor and consequently moves to Japan. Despite Nathan's objections the army goes into battle early, long before the soldiers are ready. They are undisciplined and cannot fight well. They are routed with ease and Nathan is dismounted and nearly killed by the Samurai that they are facing. They, instead, capture him and take him back to their village. Nathan spends the winter there, learning their culture, their language, their beliefs until the roads are clear and he can return to 'civilisation'. The story explores how a broken man can find peace in the strangest of places. It shows the samurai's side of the Meiji revolutions and really makes you think about the points of view on both sides of the conflict. From Nathan's point of view he's really just re-living the war with the native Americans, but from the other side. Well worth watching. As I said, it's the only film with Tom Cruise that I've ever loved, and it thoroughly deserves it. Anyone who hasn't watched it yet should do so. Up, down, up, down, up, down. Writers have it hard... ish.